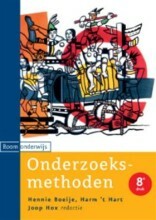 Dit is de samenvatting van het boek "Patterns of Entrepreneurship Management". 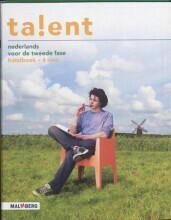 De auteur(s) van het boek is/zijn Jack M Kaplan Anthony C Warren. 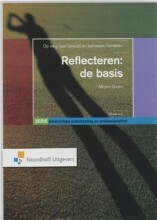 Het ISBN van dit boek is 9781118358535 of 1118358538. 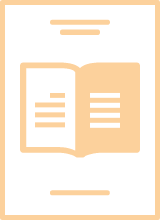 Deze samenvatting is geschreven door studenten die effectief studeren met de studietool van Study Smart With Chris. The process of planning, organizing, operating, and assuming the risk of a business venture. What are commonly shared Entrepreneurial Characteristics? Aspiring entrepreneurs dream of starting a business; they hope for the chance to be their own bosses, but they have not yet made the leap from their current employment into the uncertainty of a start-up. Lifestyle entrepreneurs have developed an enterprise that fits their individual circumstances and style of life. Their basic intention is to earn an income for themselves and their families. Growth entrepreneurs have both the desire and the ability to grow as fast and as large as possible. These firms are the most dynamic job generators in the economy. Which subtypes are there within the type of Entrepreneurs? Social entrepreneurs are individuals with innovative solutions to society's most social problems. They are ambitious and persistent, tackling major issues and offering new ideas for wide-scale change. Technology entrepreneurs have ideas triggered by developments in science and engineering. They usually have a strong education in those fields, an advantage that opens up opportunities for them that might not see. Growth bootstrapped: a lifestyle company that manages the grow fairly rapidly without taking in outside investors. The first decision that an entrepreneur should make is whether personal lifestyle and control are more important than growth and eventual wealth creation. What are the decision that have to be taken? What are the basic five-stage entrepreneurial process? What are the activities in Stage 1: Conducting opportunity analysis? Stage 1 takes at least a year because it details the pricing and sales strategies required. What are the activities in Stage 2: Developing the Plan and Setting up the Company? What are the activities in Stage 3: Acquiring Financial Partner/Sources of Funding? What are the activities in Stage 4: Determining the Resources required and implementing the Plan? What are the activities in Stage 5: Scaling and Harvesting the venture? The frameworks in which a sustainable, high-profit company is constructed. What can Entrepreneur learn from Innovation? It is dificult to build a company around a single porduct idea without strong patent protection. Protective barriers must become part of any business model. Innovation is not a single event. Always imagine that there is someone having the same idea. Entrepreneur needs to solve customers' problems. Successful innovation is the use of new technological knowledge, and/or new market knowledge, employed within a business model that can deliver a new product and/or service to customers who will purchase at a price that will provide profits. What are the main two types of Innovations? Incremental innovations are continual improvements on an existing product or service or in the ways that products ar manufactured and delivered. Radical innovations are the result of major changes in the ground rules of competition, culminating in either a cutomer satisfying her needs in an entirely new way or in a totally new need being created through innovation. Discruptive innovation is often used to describe innovations that discrupt the status quo. What are the various Methods of Researching a Business Opportunity? Analogs is to help transfer innovations from one field to another. What are the various ways to generate business ideas? An Entrepreneur need not be the Developer of the technology. What is the five-step model that help Entrepreneurs know a winning business area(Opportunity)? Phase 1: The basic objective is to define the criteria that would make a business opportunity worthwhile to pursue. What must be done in the Phase 1: Seize the opportunity? What are the questions Entrepreneurs must ask themselves? What are the indicators that lead to this idea and opportunity? What are the conditions that permit the opportunity to occur? How will the future of this new product or service change the idea? How long time is the window of opportunity? What are the Factors that Create Opportunity? A window of opportunity is a time horizon during which opportunities exist before something else happens to eliminate them. Opportunity costs are the value of benefits lost when one decision or idea alternative is selected over another. Phase 2: Identify, measure, and document the need for the product or service. What must be done in the Phase 2: Investigate the Need through Market Research? What are the Preliminary questions? What are the Sources for finding answers for the Preliminary questions? What must be done in the Phase 3: Develop the Plan? The result of the business plan should fully capitalize on all of the company's assets while maintaining flexibility. A business plan charts the current and future components of the business in about thirty to forty pages. What will a good Business Plan do? Determine the viability of the business and application in selected markets. Provide guidance in planning and organizing the activities and goals. 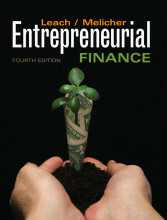 Serve as a vehicle to obtain financing and personnel for the business. What are the three Critical Junctures that the Business Plan guides? It simplifies decision making during times of crisis. It is the roadmap at points of indecision. 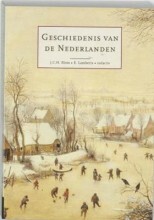 It is a motivational guide during setbacks or downturns. What are the Aspects of assessing Resource capabilities in Phase 4: Determine the Resources needed ? What must be done in the Phase 5: Manage the business? What two Events involves in Phase 5: Manage the business? What are the various Validation Methods to value a business? What are the two fundamental ways of making calculation for Venture Capital Model? What are the "Four Cs" of credit? What seven keys does a Loan Proposal consist of? What is the guide to selecting a Venture Capitalist? What are the factors that might influence a Venture Capital firm's funding decisions? What are important terms in Preferences and Covenants? What is Preferences and Covenants? Terms negotiated by investors when making an investment. What are the fundamental sections that Investors analyze? What are the Legal Agreements?